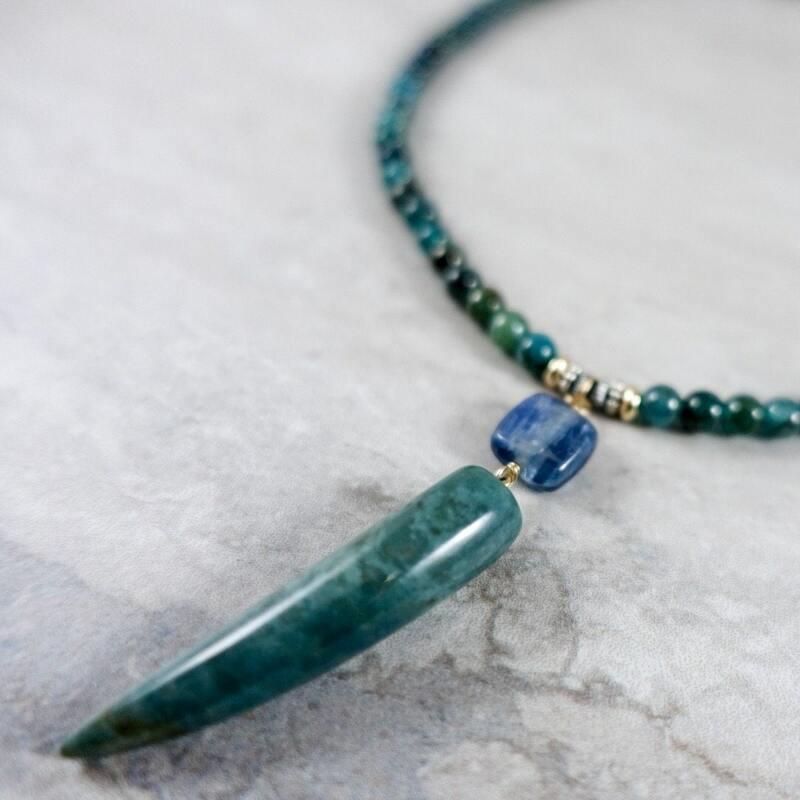 Thrive in every aspect of life in this dendritic jade horn, one-of-a-kind, blue and green necklace. 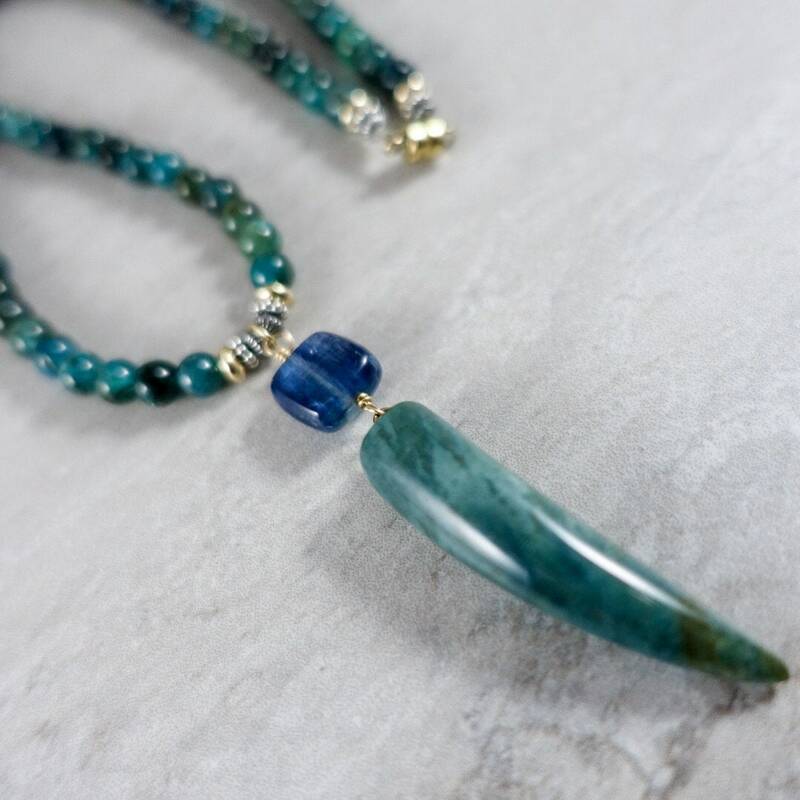 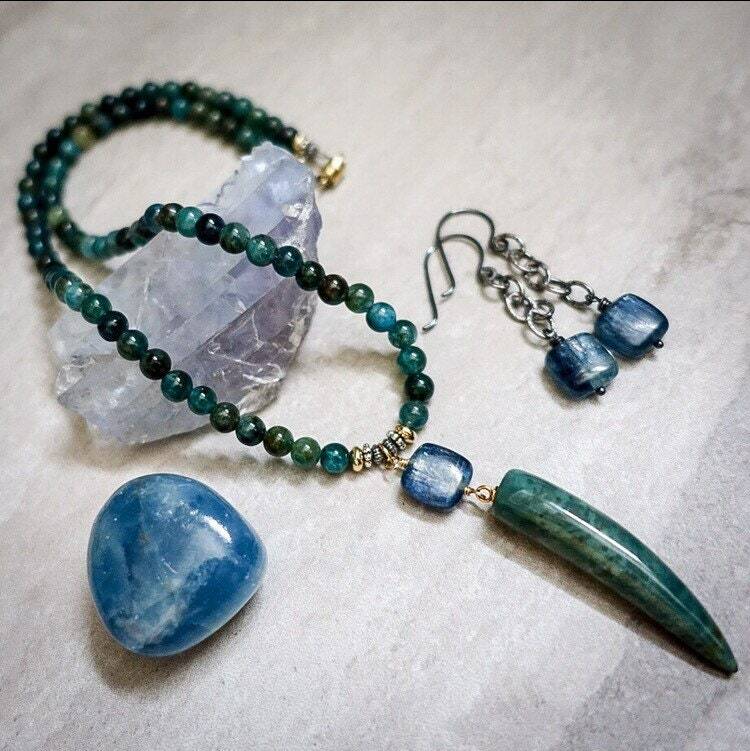 This multicolored necklace features both kyanite and apatite beads, intermittent 14K gold beads and sterling silver, and a gold magnetic clasp. 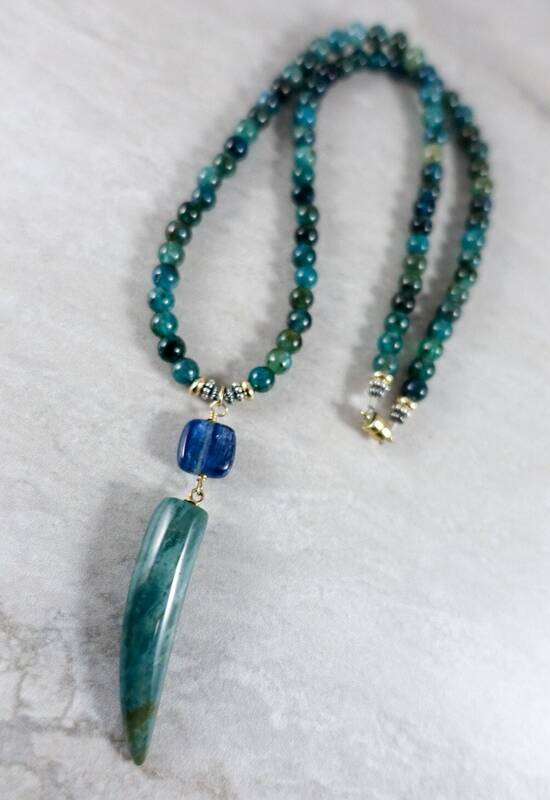 16 inches, pendant hangs at 1.5 inches. 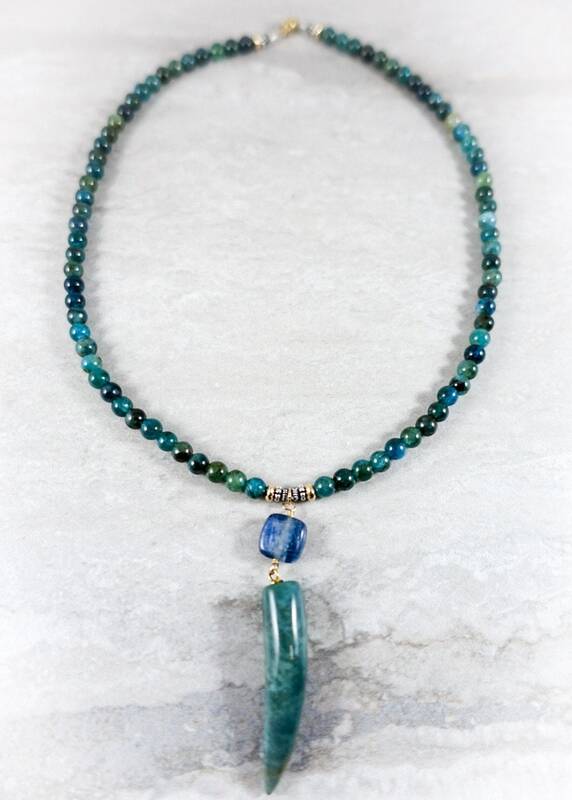 Priced at $118.